When we first meet Lady Helena of Lady Helena Investigates, she has just lost her beloved husband, Sir Justin Whitcombe. Her brothers and sisters have begun inserting themselves in her life and planning her future. When she meets her husband's physician, Armand Fortier, she is shocked to learn that the doctor thinks her husband was murdered. There is another mystery involving the tenant farmers on her estate ... and she is beginning studying herbalism as well. I love historical fiction and especially enjoy historical mysteries. I found Lady Helena Investigates to be an engrossing novel from the first pages. Lady Helena is an intelligent, independent thinking woman in early 1880's England. I really enjoyed seeing her thought process and watching her emerging independence over the course of this novel. I also found Armand Fortier a very interesting character, and I liked his interactions with Lady Helena. The setting was beautifully done. The author, Jane Steen, has done a fine job of creating a world at the estate and the surrounding village. The period details were lovely. I loved some of the old fashioned words and phrases related to herbalism and 1880's life. The mystery was well done and kept me guessing! I am glad to read that this is the first in a new series, because I already look forward to reading more. 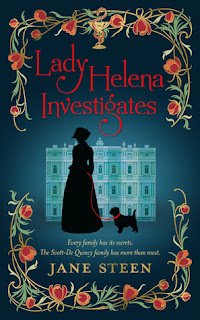 I recommend Lady Helena Investigates highly for anyone who loves historical mysteries, Victorian manor house settings, and a smart, well written period piece novel. 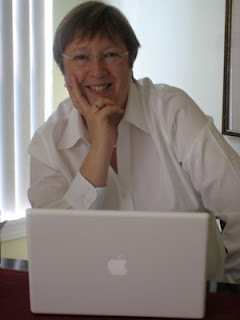 Thanks so much for hosting Jane's blog tour! I'm so glad that you enjoyed Lady Helena Investigates!